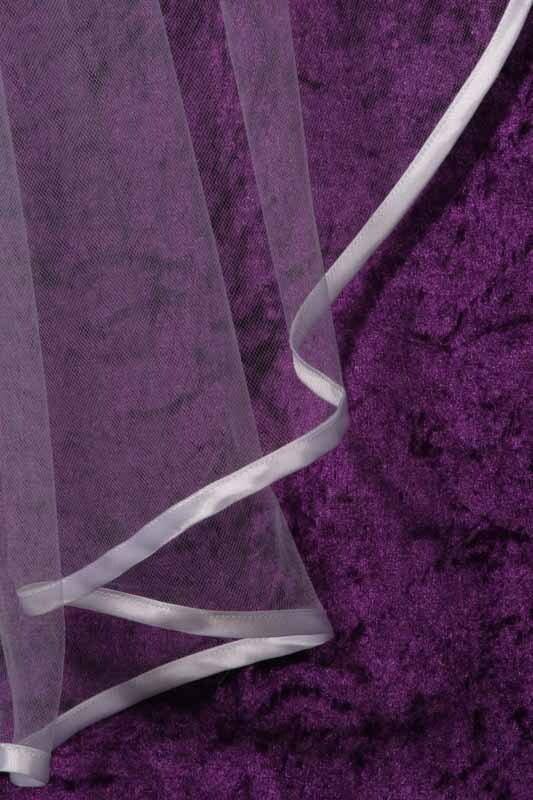 A simple satin bias binding edge , one layer design, cut to cascade beautifully at the sides. 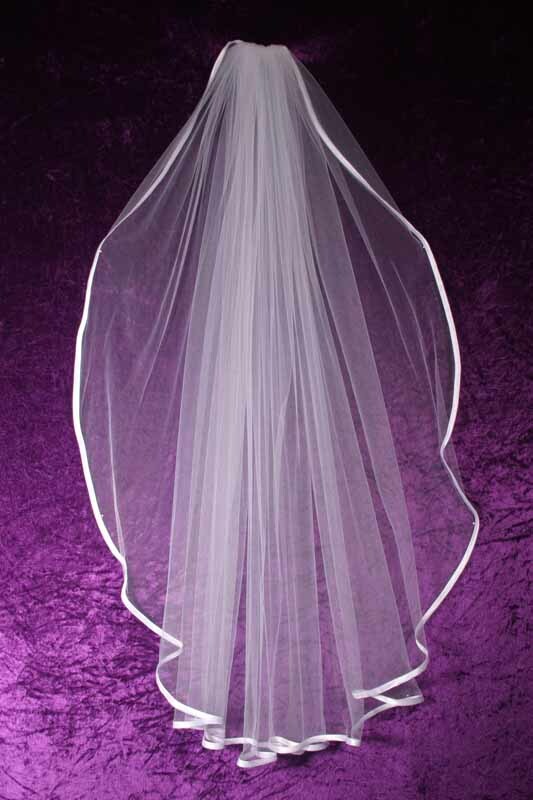 This veil is 108″ wide, gathered onto a satin covered comb. Example shown: Standard finger tip.